(CNN) – The Trump White House has been rocked this week with early details from Bob Woodward’s book “Fear: Trump in the White House.” President Trump has, as usual, reacted aggressively to the book, which casts him as petulant and insecure, a man deeply out of his depth who is being purposely kept out of the loop by senior administration officials in order to keep the country safe. This is not Woodward’s first rodeo. He has written a series of books documenting each of our recent presidents. So how did the White Houses of George W. Bush and Barack Obama handle Woodward when they learned he was writing on them? For that answer I reached out to Jen Psaki, former White House communications director in the Obama administration (and a CNN contributor) and Ari Fleischer, who served as the press secretary for Bush. Our conversation, conducted via email and lightly edited for flow, is below. Cillizza: Walk me through the thought process when you first heard that Woodward was working on a book about your boss, aka the president. Psaki: It is part of the rite of passage in a White House press office. He writes about every president, so we knew it was coming. Early on I remember a part of me thinking, ‘cool, I love his writing and books.’ Of course that comes with a huge dose of anxiety when you are working in the White House he is writing about. And anxiety only increases once he has written the first book. Woodward is not a White House reporter or someone waiting for statements or approval from the press office. We also knew that. So the monitoring of how the book was going and what exactly he had that was newsworthy was difficult, to say the least. The first book on President Obama was about the decision-making around Afghanistan. It was early on, and we didn’t have a defined strategy for any book. We definitely were better prepared the second time around, but it is really never a call you want. Fleischer: Bob contacted Karen Hughes or Dan Bartlett (I don’t remember who) to say he wanted to write a book about Bush’s war on terror. The president decided he would cooperate with Bob, and that set the tone. If the president was cooperating, we all were cooperating — not only in the White House but across the agencies. Cillizza: Was there a strategy as to who would talk to Woodward and who wouldn’t within the White House? Did people break those rules? 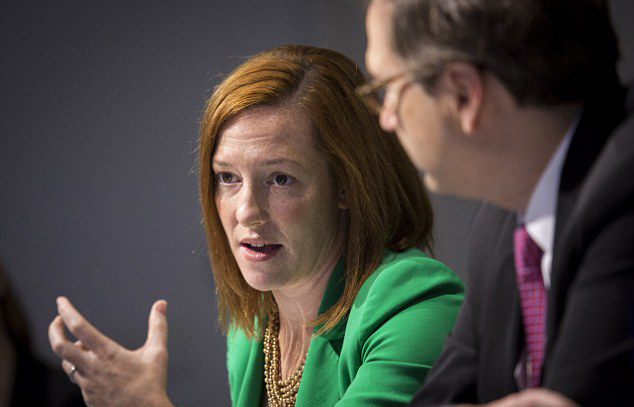 Psaki: We got better at this as the years in the White House continued just by trial and error. In the first few years we were just trying to survive in part because we were dealing with a massive financial crisis and in part because most of us had never worked in a White House, and we started off not even knowing where the bathrooms were located. The core decision was — are we going to participate or not, and at what level? We played it both ways with different books at times, setting up interviews and at other times trying to maintain the ability to say we didn’t participate. Either way you go, it can be hard to control book narratives. People always break the rules. The difference is the anecdotes in Woodward’s second book about Obama were about who was more responsible for the budget deal falling apart, not about how the senior staff were ignoring the orders of the President and keeping decision papers off his desk. Fleischer: Given the fact that President talked to Woodward, we all did. I don’t recall any meetings to plan who he could or could not talk to. As far as I recall, all top people Woodward wanted to talk with spoke to him. Cillizza: Woodward sat down for his books with both Obama and Bush. How hard a decision was that to make? Was the president in favor of it? Psaki: There is a calculation every White House makes regarding books and even big articles. If we participate, especially at the level of the president, we have less plausible deniability about the content and accuracy of the book. President Obama was always very thoughtful about these decisions. We would present our recommendation and the reasoning, and he ultimately decided. He never felt like he absolutely had to sit down with a writer and never demanded it. But having the ability to walk through themes of the book that were related to the president’s decision making ultimately felt like it was worth it. Fleischer: It was an easy decision to make. I do think it’s fair to say that when things are going well, Woodward can make them better. When things are not going well, he can make them worse. His first book was reflective of a popular president. Cillizza: Once Woodward’s book came out, what percent of the stuff in it came as a total shock to you? And how did you handle the negative press? Psaki: Looking back, most of it should not have been a shock. The surprise was more about how detailed the leaks were about private conversations and negotiations. There are only a few things you can do 1. Try to raise doubt about the accuracy by picking apart some pieces. 2. Attack the author. 3. Put out the people who are depicted in the book to pull it apart. We did versions of all of these. But ultimately when the themes of the book are not wildly wrong, it is only so effective to pull apart anecdotes. That is also the root of Trump’s problem. Fleischer: As I recall, the White House generally liked the first book, although there were some quotes (anonymous) that we did not like. There are of course criticisms of this matter or that matter, but for the most part, his first book was well-received. Cillizza: Finish this sentence: “The single best thing for Trump to do in response to the Woodward book is ________.” Now, explain. Psaki: Have the legitimate and well-respected members of his team continue to go out and deny the accuracy of anecdotes and quotes. While we can all blow a hole in a lot of the statements including (John) Kelly’s and (James) Mattis’ given how carefully worded they are, they sow enough doubt that his supporters, and maybe even a swath of people in the middle, may not jump ship over the book. And stop talking and tweeting. Let surrogates do it for you. For better or worse, President Trump reacts uniquely. That’s who he is. He is authentic, and you know where he stands. In President Trump’s defense, there is no question anonymity can give people license to say things that are incorrect or go too far. His chief of staff and defense secretary have denied what they were alleged to have said. Woodward doesn’t make things up and someone told him these two people said these things. Trump and his staff are within their rights to challenge the accuracy of whoever fed the information to Woodward.